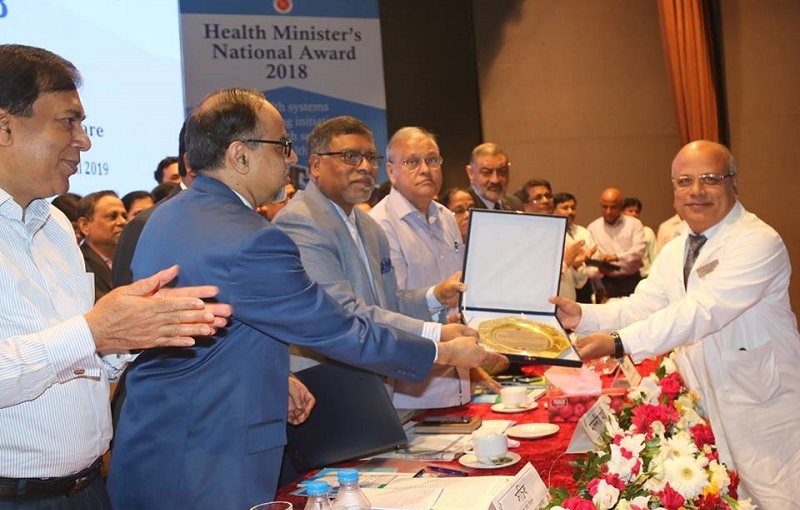 The Institute of Child and Mother Health (ICMH) has received the Health Minister National Award-2018 for healthcare services in the category of specialised hospitals. Marking the world health day, the Ministry of Health and Family Welfare and World Health Organization (WHO) took such an initiative. Executive Director of ICMH Dr MA Mannan received the award from Health and Family Welfare Minister Jahid Malek at Krishibid Institution in the capital. Health and Family Welfare Minister Jahid Malek and other higher officials were present at the prize giving ceremony.